Whidbey and Fidalgo Islands are located in the Puget Sound west of the Seattle metro area and the Olympic Peninsula. 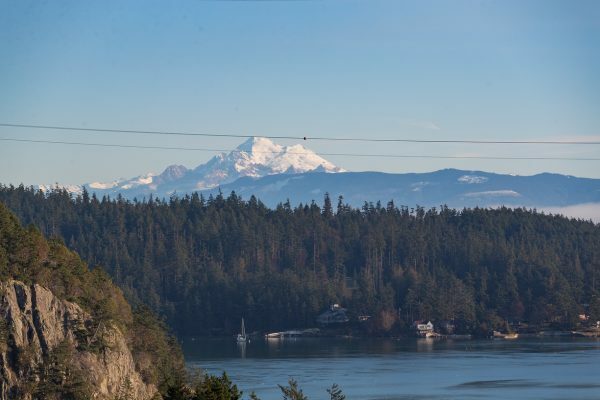 Separated by Deception Pass, these two islands offer several scenic running trails within a short driving distance. Oak Harbor and Anacortes are the two biggest cities on these islands and home to many serving at the Whidbey Island Naval Air Station. South of Oak Harbor on Whidbey Island is the artsy town of Coupeville. The scenic background is the inspiration to well-known painters, sculptors, glass artists, musicians, and other artists. It’s also home to Penn Grove Mussels and other farmers of meats, eggs, and produce. Fidalgo Island boasts over fifty miles of forested trails. The island is peaked by Mt. Erie, with four lakes, and wonderful scenic views of the sound. Anacortes has a large bareboat charter fleet for whale watching and other ocean life. Sea kayaking and ocean fishing are other popular tourist activities from Anacortes. The trails of Whidbey and Fidalgo offer a variety of terrain and are settled in the rainshadow of the Olympic Mountains, making the soft and dry through the winter. Fidalgo Island is accessible from SR 20 at Mount Vernon. Take a ferry to Coupeville from Pt. Townsend on the peninsula, Clinton from Mukilteo on the mainland, or Anacortes from the San Juan Islands and Sidney, BC. Anacortes has three main trail systems, Cranberry Lake, Heart Lake, Whistle Lake. A great run from Heart Lake climbs Sugar Loaf (1275′ summit) and Mt. Erie (1300′ summit) is a 6.78 mile lollipop loop for stunning views on a clear day. Deception Pass State Park spreads over 3,854 acres, a marine and camping park with 77,000 feet of saltwater shoreline and 33,900 feet of freshwater shoreline on three lakes. The park is located on the two islands, connected by Canoe Pass and Deception Pass bridges. The course for Rainshadow Running’s Deception Pass 25k makes a way to explore the park. Located on the west side of Whidbey Island, Fort Ebey has 28 miles for soft and rooty trails that offer phenomenal views of the Olympic Mountains and islands in the Puget Sound. Putney Woods near Langley has several trails to get some running while on Whidbey Island. Deception Pass 25k and 50k– Rainshadow Runnings has two distances that feature Washington’s most popular state park. 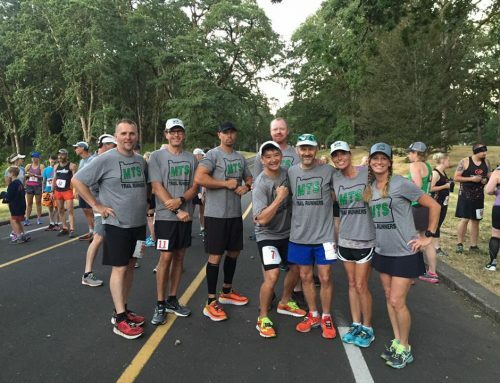 Deception Pass Half Marathon and Marathon– Races in Deception Pass State Park from Destination Trail Runs. Fort Ebey Kettles Trail Run– Northwest Trail Run’s two-day trail running festival at Fort Ebey. The marathon and half marathon is Saturday, while the 5k and 10k are run Sunday. See the Fort Ebey Kettles Run race report. Whidbey Woods Running Run – 5k, 10k, Half and Full Marathon from Northwest Trail runs put on by Northwest Trail Runs in Putney Woods. Jingle Trail Run & Walk – A fun holiday-themed 5k by the City of Coupeville in Fort Casey. Skagit Runners is based out of Mt. Vernon, but the group meets every Thursday in Anacortes or Deception Pass for a trail run. Check the group run calendar to find out the meeting place. The club has a Facebook page and a couple of Strava pages Skagit Runners and Skagit Ultra Runners. Whidbey Coffee has several coffee shops located on both islands and the mainland. Most are drive-thrus, but the Oak Harbor location has a cafe and centered between all of the trails on the islands. Moka Joe is located in Anacortes just off HWY 20. A great place to stop for runners coming in from Mt. Vernon and Burlington, this roastery is 100% organic and serves all fair trade coffee. Outdoor and indoor seating is available in its cafe. On the south side of Whidbey Island? Stop in at Mukilteo Coffee Roaster’s Cafe in the Woods. It’s a great setting to enjoy a cup of artisan roasted coffee. Bastion Brewing in Anacortes has 14 house beers and five ciders on tap. The kid and pet-friendly taproom serve burgers and wings that all will like. Wicked Teuton Brewing is a veteran-owned brewery in Oak Harbor. Nine craft beers are on top, with additional seasonal beers located inside a homebrew facility. No food, but bring in some food Mexican restaurant next door. If you’ve worked up an appetite for beers and food, stop by Flyers in Oak Harbor. Flyers has a diverse menu, including local seafood. Penn Cove Taproom is a great place to grab a pint and a snack while in Coupeville. The taps are rotated with craft beers from the Northwest. Sip one inside or outside.